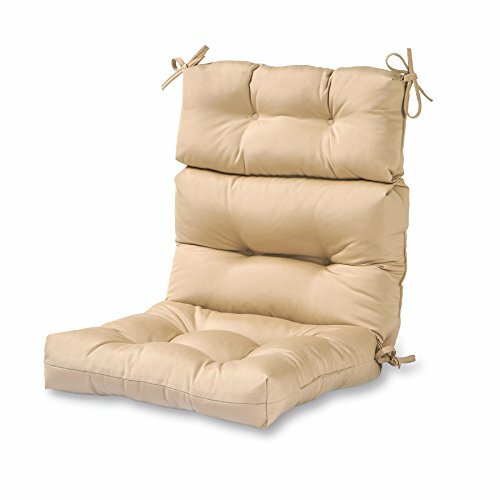 The Greendale Home Fashions three section high back chair cushion measures 44 x 22 x 5". 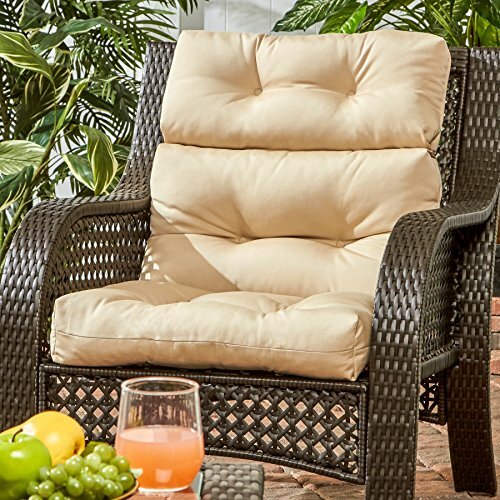 each cushion is overstuffed with 100% soft polyester fill, made from 100% recycled, post-consumer plastic bottles, for added comfort, strength & durability. It's exterior shell is made from a 100% polyester UV-resistant outdoor fabric. 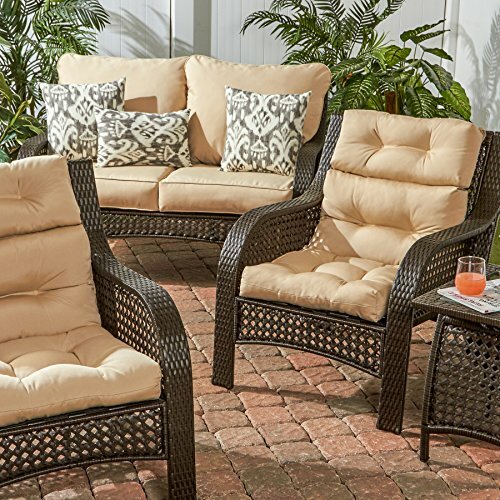 Circle tacks create secure compartments which prevent cushion fill from shifting, while string ties secure cushions to outdoor furniture. A variety of modern prints are available.